Capricorns (sign: ♐) are assiduous, conscientious and steady persons. They do not push in the front, but they are clever and wait while doing their work. However, there is no reason to rest and wait for success and claim to power. Tireless and severe they are, and so they gain respect. Capricorns never give up a goal or finished struggling – engaged in a fight like in life and death battle. They would never deny claiming livelihood and security. They accept bad blows from behind as normal attack. Capricorns are those who become stronger by that. They are climbers and never stop climbing before they would have reached the summit. Realists and sober – and they never would leave the path of reality and soberness. Capricorns believe in values of the material world. Their life is their profession. People born under the zodiac sign Capricorn represent never-ending capacities to adapt to the current circumstances. Contacts are necessary, but they are for good. They are good partners. Life is a business and rules help to confirm. Capricorns appear brusque, and it is a missing link of warmth. There is such a well-defined distance in between – and it might be required. They are level headed – and for this aspect, it looks like a kind of calculation - but it is their nature. The way is the path of advantages, and so they are rigid to themselves – gaining security – but never escalating. Always thrifty and in most cases almost miserly as well. Finally – in the end – heirs are lucky about that characteristic.Lust of life, generosity, and fickleness they hate. 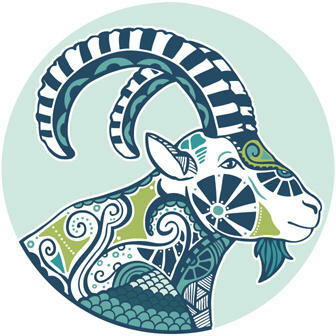 Capricorns work for duty, and always they are just realists – they prefer real stages and perform in economics, politics [parties] and in public services [cultural affairs office]. People born under the zodiac sign Capricorn just tear down a building when the new house is built up complete. Maybe there is an aspect of weakness – exactly in that manner. Their predominating motto could be called: no risk – no fun, but security and success. One day it could be their mistake to hate changing an opinion or point of view – and in the end, even a pale value considering ranks and orders – worst case rivals defeat them. Steady, serious, convinced, assiduous, patient, practical, tough, prudent, thrifty, reserved, cautious, conservative, taciturn, strict and lonely. heartless, rigid, pitiless, merciless, unforgiving, hard, inflexible, fossil, miserly, deceitful, devious, sinister character, cold, cantankerous, cranky, envious, jealous, vindictive, revengeful, false and dishonest.